We shifted to a table in one of the corners of the restaurant. Parked the pram, sat the 2-year old down and started to go through the menu. As we tried to settle down, I could not help but notice that the lady at the table next to us was staring at us. The littlest one gave a cry – as a 4-month old does when hungry. A very loud, “Oh my God,” could be heard within this buzzing, busy restaurant. As I glanced over, the lady was practically staring at us. Her troupe was a group of adults. 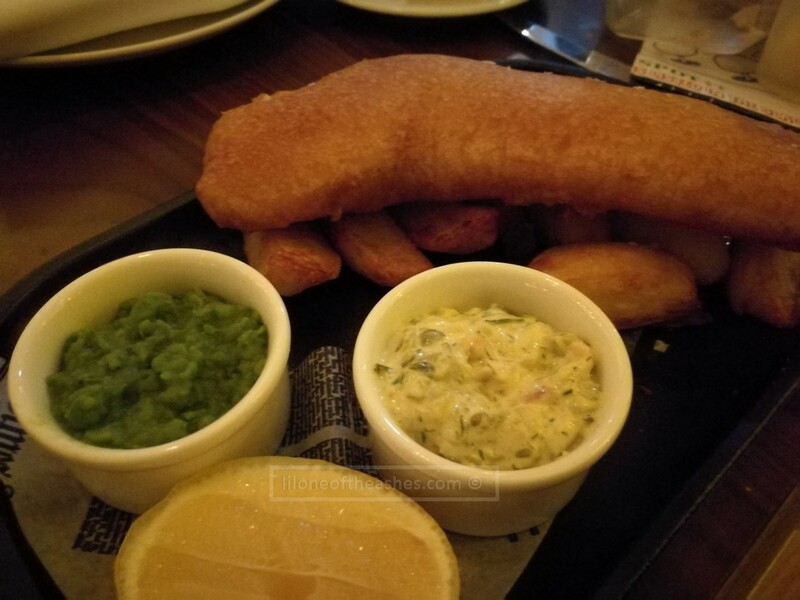 Absolutely no issues with service throughout the night – from the chap over the phone when I rang to book a table, to the ladies at the front desk who brought us in and let us move from one table to the next, to the guy who took our orders up till the payment time. Apologies for the bad photo quality tonight! Ambience was quite good – lights were dim, music was not too loud – with the likes of Muse to Europe’s Final Countdown. 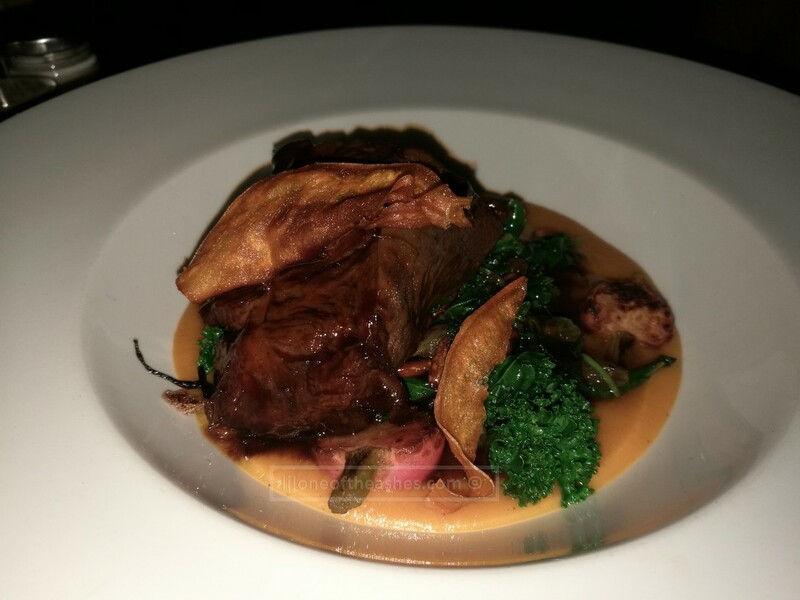 My husband’s braised beef shoulder served with sweet potato and turnips, though tender and delicious, was a steep 165 AED. I thought this place was meant to be casual dining? Or is it casual/fine dining? Like what people call ‘smart-casual’ these days and expect you to turn up in a suit and cocktail dress? To be fair, the chap over the phone did say we could turn up in casual attire as long as we weren’t wearing out swim-wear, so we were very casual. The price just wasn’t. I’m sooo glad you had a good experience there. First time I went was my last. It was terrible. Thinking about it, I pretty much don’t know anyone who would go back. Even those who have a not too disastrous experience wouldn’t go back because of the pricing. Hey you! I wouldn’t call the entire experience “good”, haha.. it was not too bad! Yeah it’s too expensive ay. 53 AED for a pint is pretty much over the top, they should introduce happy hour deals or similar! Did you write about your experience?? I did, but it was in my “find the best in everyone” period so if you read it, it doesn’t sound as bad as it was!!! Hahahaha.. I’ll look for it!